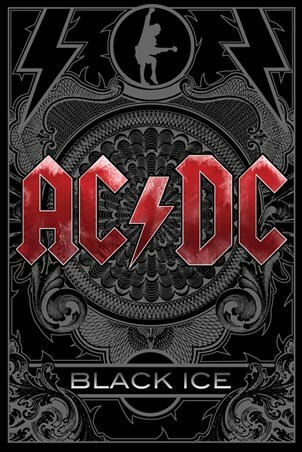 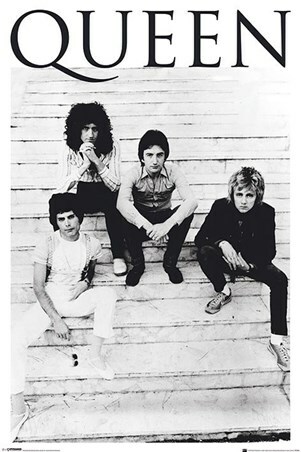 Music Poster: Legendary heavy metal band, 'Iron Maiden' were formed in 1975 and consist of Bruce Dickinson, Adrian Smith, Steve Harris, Dave Murray and Janick Gers. 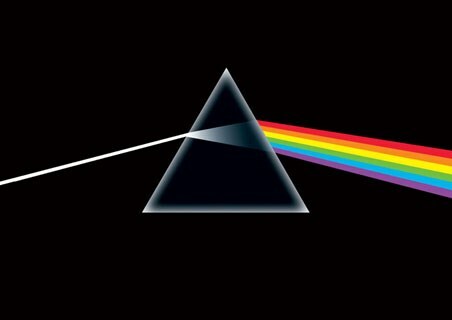 Over the years the band have become known for their mind blowing signature Goth inspired, fantasy album art work and this awesome example is no exception. 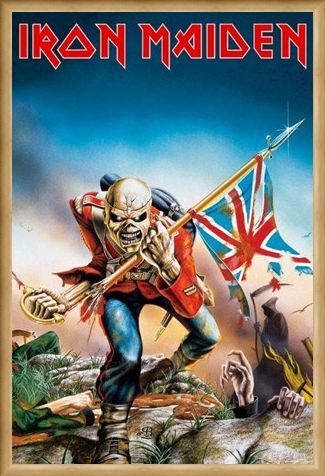 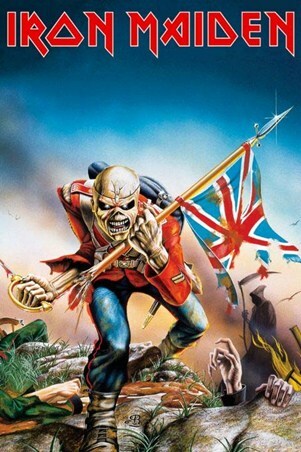 Used as promotional art for the single, 'The Trooper', a song written by Steve Harris, this image depicts the viewpoint of one of the slain troopers from the Crimean War, who, in the cover art, is perceived as a bald 'Eddie', the band's famous mascot. 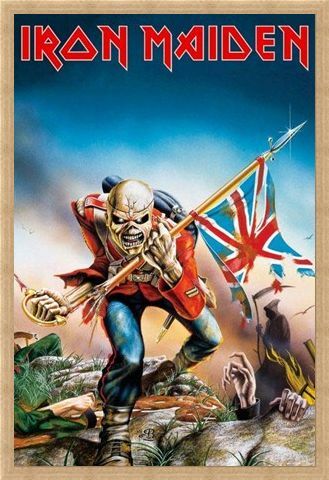 As hands reach up from the ground and the grim-reaper watches on in the distance, this sensational image brings the songs lyrics to life and would make an awesome addition to any Iron Maiden fan's collection. High quality, framed Trooper, Iron Maiden poster with a bespoke frame by our custom framing service.